As digitalization continues to give a huge impact on the progress of countries, President Rodrigo Duterte has promised to improve the internet access in the Philippines to address the growing needs of Filipinos. However, recent Akamai Technologies’ Global State of the Internet Report showed that the country still has the lowest average internet speed in Asia Pacific with just an average of 5.5Mbps. To cope with this challenge, Department of Information and Communications Technology (DICT) - through the National Telecommunications Commission (NTC) - has launched its EDSA Free WiFi Project in Metro Rail Transit Line 3 (MRT-3) stations to give commuters a faster internet access. With this, the project has been successful in connecting almost 230,000 of the 444,004 daily commuters during peak hours. NTC performed network testing on July 6 to 7 using the popular app OOKLA Speedtest, wherein they got an average of 156.6Mbps and 135.8Mbps for download and upload speeds respectively. 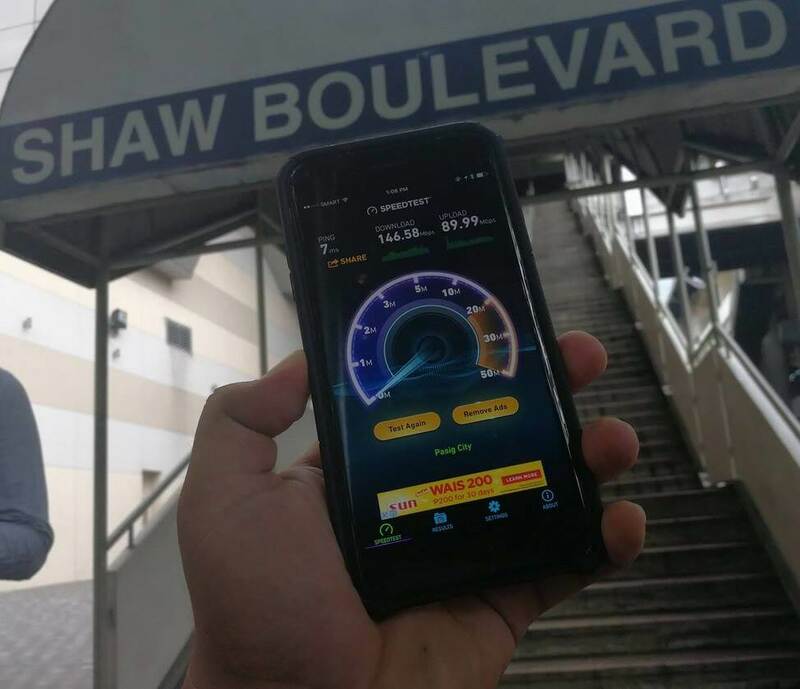 The said test also revealed that Ortigas station enjoys the fastest download speed of 325.48Mbps, while Magallanes has the highest upload speed at 310.57Mbps. Meanwhile, SMART, A&A, and MRT-3 reported that heavy usage of the internet were evident in the Taft Avenue, North Avenue, Cubao, Ayala, Shaw Boulevard, and Boni Avenue stations. The implementation of EDSA Free Wi-Fi Project is made possible by the partnership of DICT to different agencies, companies, and government units, including the NTC, MRT-3, Metro Rail Transit Development Corp., Light Rail Transit Authority, Light Rail Manila Corp., Metro Manila Development Authority, Department of Public Works and Highways, Manila Electric Co., Philippine Reclamation Authority, the local government units of Makati, Mandaluyong, Pasay and Quezon City, A&A, PLDT-Smart, and Globe. Launched last June 12, NTC said that they plan to cover the entire street of EDSA by October of this year.